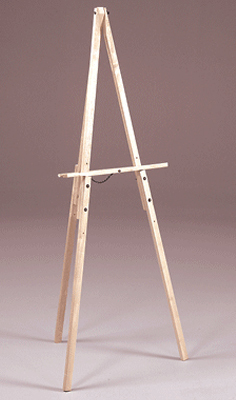 * Wooden Easel with adjustable height from 57-65.5". * Footprint is 26" spread. * Lower canvas support is 22" wide x 1" deep. 37" x 6" x 4"